To date, my understanding of Iceland has been limited. In the late 1980s, I associated Reykjavik with a key geographical location in the educational video game Where in the World is Carmen Sandiego. The 1990s brought Björk and her icy Icelandic voice into my consciousness. That’s about it. 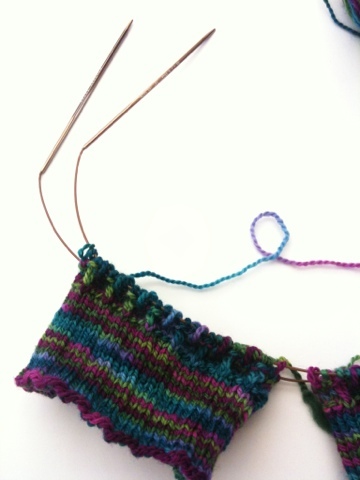 Then last year, I started knitting a Lopapeysa sweater because of a class I took on Craftsy.com. I also started seeing images from this Pinterest feed. Bam! Icelandic intrigue! I applied for a travel scholarship thru my employer. Here’s the proposal that won me the opportunity: Resilience: Lessons from Iceland. 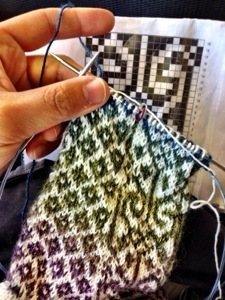 Fast forward… now I’m in Iceland! This trip will be a quick one; I’m scouting for the real deal and a chance to get the first impressions/gotta-see Reykjavik-area sights seen. I plan on returning later this year to hopefully expand beyond Reykjavik and dig deeper. Our first day has been about getting our bearings. We arrived in Reykjavik very early this morning and explored in a travel-weary daze after flying all day/night from San Francisco. 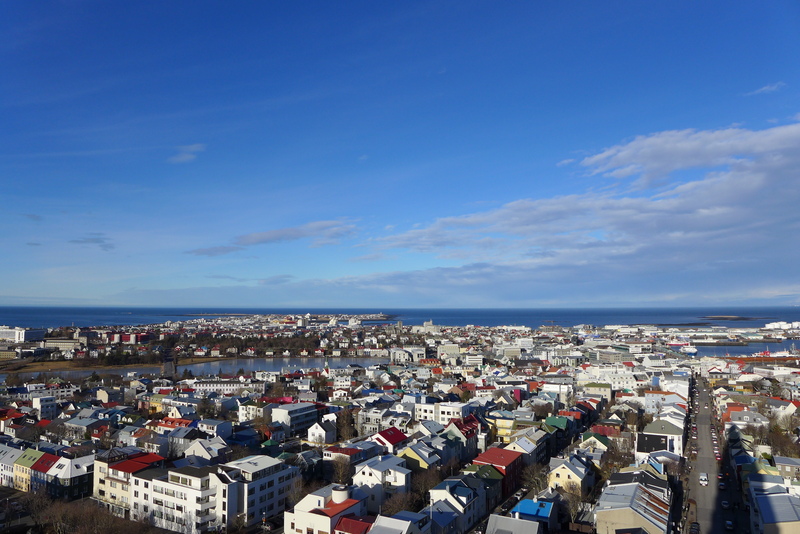 We made our way to Hallgrímskirkja, “The Church” in Reykjavik with an observation tower, to get a tall perspective. Everyone is bundled up because it is COLD! Perhaps it isn’t as cold as other places, but when the wind whips through, it feels like it breaks the skin. 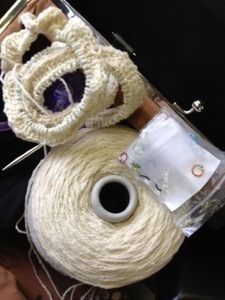 Good thing there are wooly wares to wear available everywhere… even convenience stores sell hand knit hats and sweaters! Every interior space we’ve been in is cozy and warm. Lovin’ geothermal energy! 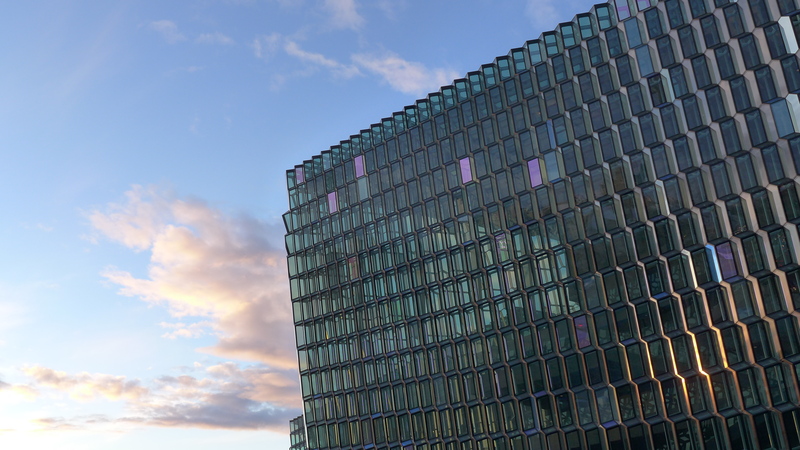 We walked to Harpa at sunset. The colors, light, reflection, texture and contrasts are magnificent! Perhaps tomorrow I will collect myself when I get encounter wool and actually photograph some of the lopi love to share. The knock-off Skacel Addi-esque packaging is especially amusing. 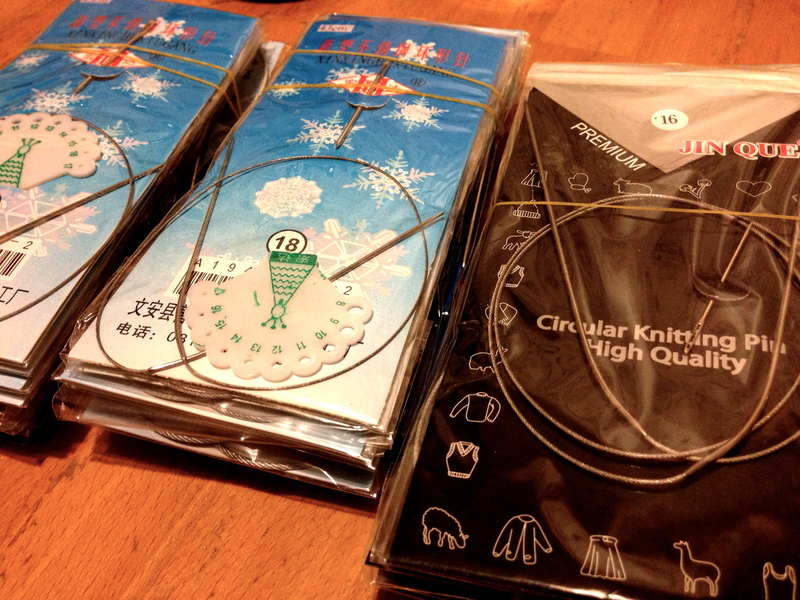 Woolenwarrior is looking forward to giving them a try. Stay tuned for a review! 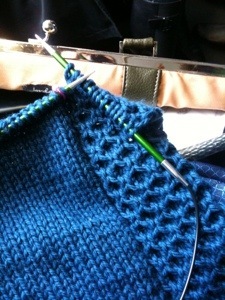 Starting out on Melia, a hooded cardi with a beautiful honeycomb border by Ysolda out of Spud and Chloe Sweater. Sitting right where I finished it. Too bad they’re so bad.